When 52 percent of investors say they have no intention to invest, that’s a meaningful sign of reluctance to be involved in America’s investment culture. According to the Spectrem Millionaire Confidence Index (SMICI), there was a second month of recovery from the record-breaking drop in investment confidence in May. Among Millionaires, the interest in investing grew in all categories of products; among non-Millionaires, caution reached a new high. Perhaps the biggest news from the Millionaire investing pattern was that only 26.6 percent said they had no intention to invest in the coming month. That is almost exactly half of the 52.3 percent of non-Millionaire investors who proclaimed no intention to invest. 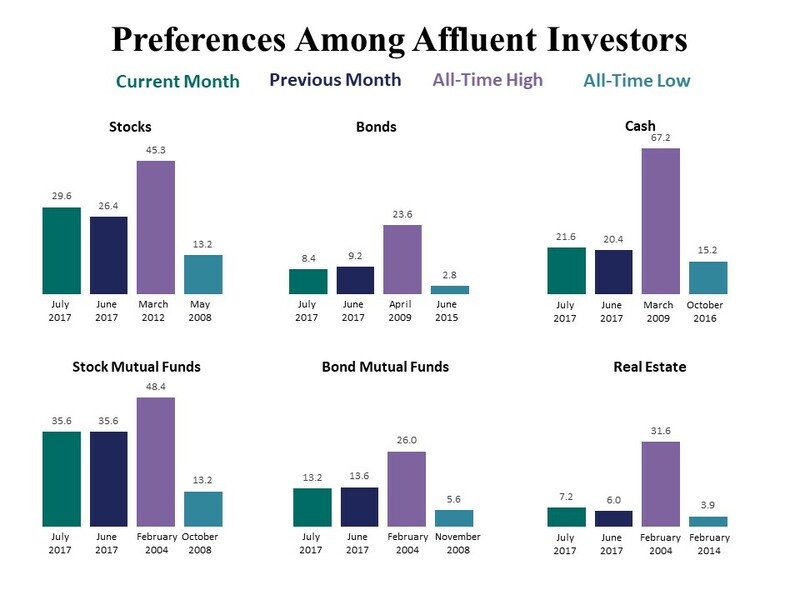 The Spectrem Affluent Investor Confidence Index rose for the second straight month despite the reticence of a majority of investors to invest. Among non-Millionaires, the largest increase was in stock investing, to 23.4 percent, an increase of almost 4 percent. Historically, non-Millionaires are more likely to not invest than Millionaires, but there has not been this much disparity between the two responses since August of 2015. The last time more than 50 percent of non-Millionaires said they will not invest going forward was in November of 2014. The category in which Millionaires and non-Millionaires share the same approximate interest is in Bond Mutual Fund investing, with 14.7 percent of Millionaires and 11.2 percent of non-Millionaires invested. The greatest disparity is in Stock Mutual Fund investing, with 42.9 percent of Millionaires and 26.2 percent of non-Millionaires invested. The male-female split in not investing was not as large in July as it often is; 40.8 percent of women and 36.2 percent of men said they have no intention to invest. The interest in stock mutual fund investing was nearly identical, as was the bond mutual fund investing. Where the two genders differed in July was in stock investing, with 33.9 percent of men and 19.7 percent of women investing. Where women showed a greater interest than men was in real estate investing, 9.2 percent to 6.3 percent. Among Millionaire males, the index continues to rise, reaching 15 in July from 4 in May. Non-Millionaire confidence dropped among both political parties, from 13 for Republicans to -2 among Democrats. Where investors from the two parties most agree is in cash investing, with 21.43 percent of Democrats and 9.39 percent of Republicans involved in that product. Where they most differ is in stock investing, 35.70 for Republicans and 20 percent for Democrats. More than 45 percent of Democrats are choosing not to invest, while 35.7 Percent of Republicans feel the same.